Goddess Garden Organics did it again! 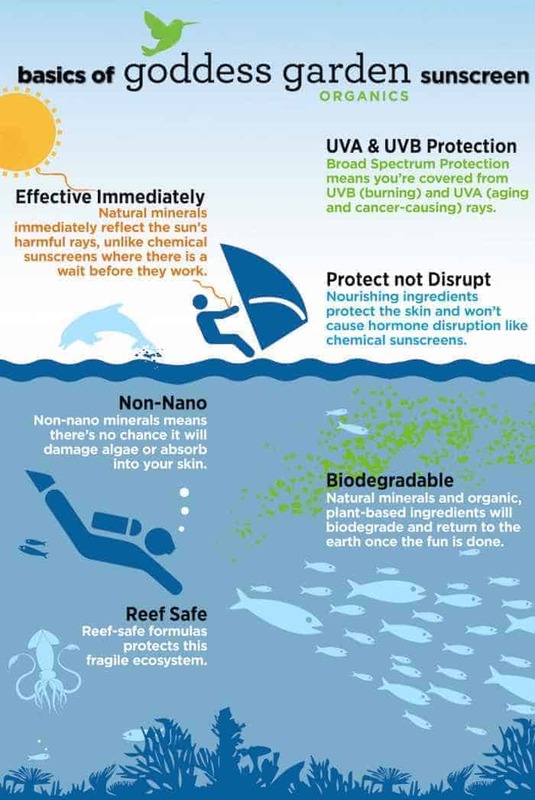 Their safe sunscreens were rated as #1 in Environment Working Group’s 2015 Sun Safe Campaign again! It’s hard to find safe sunscreens that are effective and does not leave your skin sticky or white and pasty. But I discovered Goddess Garden Organics last year when I wrote THIS about my sun damaged skin. And since then, putting on sunscreen has been part of my morning routine. Curious how my skin looks since I’ve been using Goddess Garden sunscreen for a year? This is how I looked before using Goddess Garden sunscreen daily. Not pretty, right? And remember I had to go to a Dermatologist to remove all the damaged spots? This is how I look TODAY, a year after! No new sunspots after the damaged ones were removed. And this is after using sunscreen DAILY! Even in the winter! Goddess Garden Safe Sunscreens Rated High by EWG’s Sun Safe Guide! 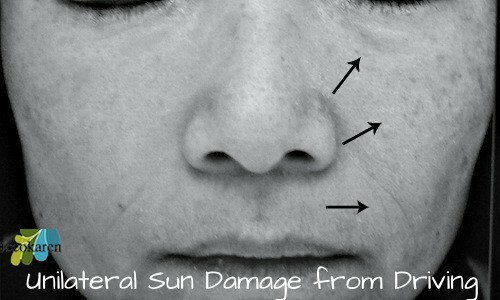 If my skin is not a good enough proof why you should apply sunscreen daily, even in the winter, check the graphics below. I love Goddess Garden’s sheer sunscreens that go on smooth and doesn’t leave my skin sticky. I tried this year’s formula and I have to say it’s even better than last year’s. And I love the new packaging and the look too! So do your skin’s health a favor. Apply sunscreens daily. Non-toxic Goddess Garden would be my first choice.